I've had this under eye concealer for awhile now and it has been included on my HG face products. It's inexpensive and very effective. What more can you ask for? 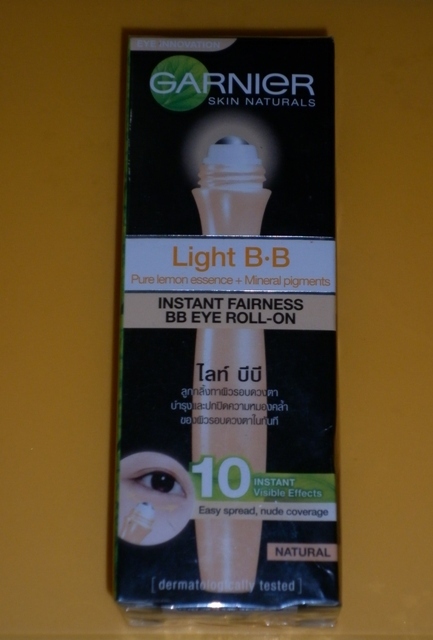 I did a review of Garnier Instant Fairness BB Eye Roll-On on my blog so do check it out for more info and swatches. That's a good product review. I haven't tried this product yet but it sounds promising based on your review. Great job! Are you still using it now? Does it crease like other concealers do?